Nowadays mostly designers & developers use sliders or carousels in their blog or website and jquery make this very easy to be used. jQuery has overpowered Flash in a lot of web uses becoming a very powerful tool for web designers. In web design a carousel is an element giving visitors easy access to several content items. It is typically a dynamic scrolling list of items in horizontal order. I have bookmarked some efficient sliders that can also be easily integrated into WordPress if you have the skills. 1. Slidorion- New: A combination of an image slider and an accordion, the Slidorion displays beautiful images along with a variable length description. With slides linked to each tab, and accompanied by a large array of effects, the Slidorion is a great alternative to the traditional jQuery slider. 2. Grid Navigation Effects with jQuery: Today we want to share some neat grid navigation effects using jQuery. In our examples we will show you ten ways how to navigate through a set of thumbnails. We’ll take a look at some of the possibilities and how to apply the effect. 3. Easy Paginate: This plugin allows you to browse easily through the list of items with pagination controls. It is very easy to implement and very lightweight so it might come in handy to use in your own projects. It’s main purpose is to view certain number of list items at once, but it can also be set up to view one item by one. 6. Orbit: A Slick jQuery Image Slider Plugin: Orbit will dynamically determine the height and width of your set of images and scale accordingly, but make sure all your images are the same size or the larger images will peek out on the sides. You’ll notice that the “id” of the parent div is “featured”, but it doesn’t have to be. When you call the Orbit plugin, you set your own selector and the magical “orbit” class gets applied. All we need to do now is activate the Orbit plugin. 7. Rotating Image Slider with jQuery: In the following tutorial we will create an asymmetrical image slider with a little twist: when sliding the pictures we will slightly rotate them and delay the sliding of each element. The unusual shape of the slider is created by some elements placement and the use of thick borders. We will also add an autoplay option and the mousewheel functionality. We’ll use the jQuery 2D Transformation Plugin for rotating the images and the jQuery Mousewheel Plugin by Brandon Aaron for the mousewheel control. 8. Coin Slider: Coin Slider slices your images in squares. Basically it’s a latest (and improved) version of jqFancyTransitions but with new ‘fancy’ transitions effects. Coin Slider have a lot of options for helping you set slider as you want. 9. JQ Fancy Transitions: I was looking all over the Internet for some jQuery gallery plugin with some interesting transition effects. I found a lot of great plugins but they all have pretty same transition effects. Mostly that was fading and sliding effects. I wanted something different so I decided to make my own slideshow gallery plugin for jQuery. That’s how born jqFancyTransitions was. 11. 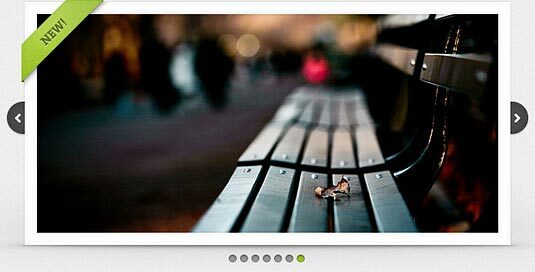 Agile Carousel: Implement your slideshow with the Agile Carousel JQuery plugin. Highly customizable so you can build according to your requirements. JSON data format is used to provide easier integration with external data or data from your CMS. Use it for agile web development. This is an all new version written from scratch. JQuery UI effects and the ability to read files on the server are no longer included. New features are added, such as “Control Sets” which allow for a more customizable setup. Now posted on Github for faster development. JShowOff is a jQuery plugin for creating a rotating content module. It works by creating ‘slides’ from the child elements (eg. This plugin was commissioned by a client. The code base for the carousel came from a Cnetwho generously provide an Open Source MIT license. 5. On WordPress administrative panel, go to ‘Carousel’ tool group and create a new carousel, and enter data as indicated. Roundabout is a jQuery plugin that easily converts unordered lists& other nested HTML structures into entertaining, interactive, turntable-like areas. It’s ready-to-go straight out of the box, but if you want to get crazy, Roundabout is highly-customizable with anextensive API that allows for some pretty amazing results. Roundabout requires jQuery (at least version 1.2, successfully tested through version 1.7.1). It works in all major modern browsers and even some of the older, not-so-modern ones. Like its Roundabout companion, Roundabout Shapes is released under the BSD license. If you’re unsure of what that means exactly, the entire license can be found in the source code. Please, have a ball with it! The most strong and popular web design trend over last couple of years is a sliding horizontal panels also known as Sliders or Carousels. It’s a very effective method to increase the web site usability and engage the user. WOW Slider is a jQuery image slider with stunning visual effects (Blast, Fly, Blinds,Squares, Slices, Basic, Fade, Ken Burns, Stack, Stack vertical and Basic linear) and tons of professionally made templates. WOW Slider is packed with a point-and-click wizard to create fantastic sliders in a matter of seconds without coding and image editing. WordPress slider plugin and Joomla slider module are available also. • Slideshow can be set to either slide in from right to left, or the reverse. • Slideshow can be set to be 4-sided, 6, 8, or 12. A 4-sided slideshow for example means 2 images will be in view at all times (the other two behind the scene). • Each image can have an optional link associated with it. • Slideshow pauses on mouseover. • A DOM based script that works in modern DHTML browsers- IE5+, NS6+, Opera 7+. • Supports all current browsers (Firefox, Internet Explorer 6+, Safari, Opera, Chrome). • Dual licensed under the MIT or GPL Version 2 licenses. 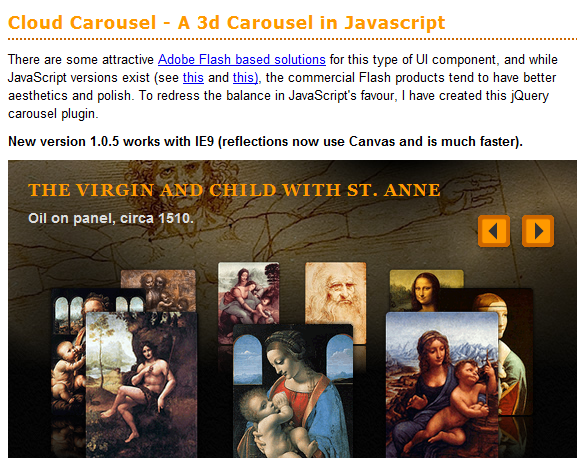 It is a “3D” carousel to rotate images. The currently available jQuery plugins for this purpose were either too large, too restricted (showing only 4 at a time is not good enough), or too old (not working in jQuery 1.4+). 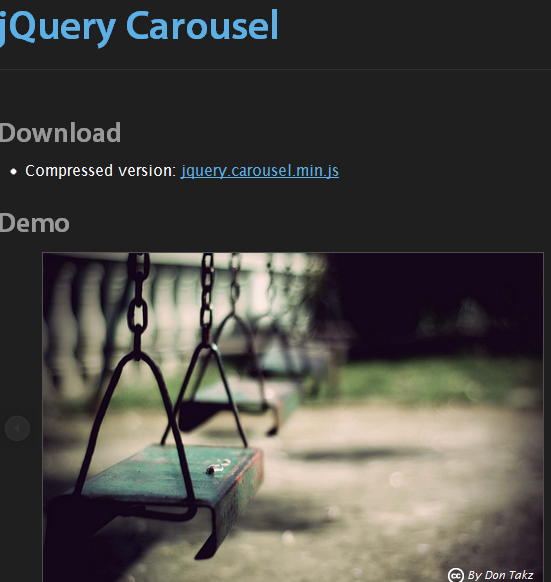 JQuery.carouFredSel is a plugin that turns any kind of HTML element into a carousel. It can scroll one or multiple items simultaneously, horizontal or vertical, infinite and circular, automatically or by user interaction. 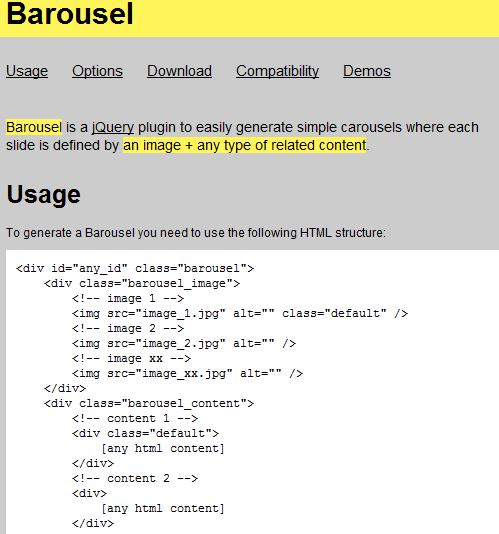 The carouFredSel-plugin was built using the jQuery-library. It is dual licensed under the MIT and GPL licenses. We are aware there are ton’s of carousel’s already out there but many We’ve seen either require non-semantic mark-up, are unresponsive resulting in poor usability or have unnecessarily large file sizes, so hopefully We’ve managed to quash these concerns with this carousel. • Panels are HTML Content (can be anything). • Multiple AnythingSliders allowable per-page. • Infinite/Continuous sliding (always slides in the direction you are going, even at “last” slide). • Optionally resize each panel (specified per panel in css). • Optional Next / Previous Panel Arrows. • Use keyboard navigation or tabs that are built and added dynamically (any number of panels). • Link to specific slides or go forward or back one slide from static text links – go to Slide 4 (Quote #2) in second example. • Each panel has a hashtag (can link directly to specific panels). • Optional custom function for formatting navigation text. • Pauses playing YouTube videos when not in view and resumes them when in view (only in non-IE browsers & if files are hosted on the web). • Pauses slideshow on hover (optional). • Optionally play the slideshow once through, stopping on the last page. If you find a bug please submit an Issue or email supportwith a brief description of the bug and a link to where it can be reviewed. Slides is provided with limited support. If you need support please visit the Slides User Group. Slides is compatible with all modern web browsers and jQuery versions 1.4.4+. It’s fairly simple to get this going, just copy and paste markup from this file if need be. 02.If you don’t want to do that then you can take the elements individually and build them into an existing site. Start by getting all of the dependant files that are listed up top, including dualSlider. 03.You will also need some CSS to get this going, or it won’t work at all. To get started just copy it from jquery.dualSlider.0.3.css. 04.Now include all of these files in the of your html document . 05.Once this is all done you need to get the markup onto the page, you can view the source of this document to get an idea of how that works, it can either be static or come out of a database, but thats up to you. If it’s out of a database no worries, the paging is built dynamically by the plugin. 06.Initialise the plugin as per previously given, view source for an example. • Arrange div’s of content in a 3-D, rotating carousel. • Currently supports one flanking ‘feature’ on either side of center feature. • Show clickable indicators (blips) of what feature is currently at the center. • Speed, effects, locations, and more are all changeable. • See in action on Rowan University’s homepage. • Works in Chrome, FireFox, Safari, and IE6+. • Works with jQuery v1.3+. • Automatically preloads images before fireing up the carousel. This jQuery plugin can display images with a cascading waterfall effect. It can be positioned either horizontally or vertically, and custom events can fired when an image rotates into the center or is clicked. The callback functions can be used to programatically trigger Lightbox-type effects, or load specific content into another region of the website. There are a lot of possibilities here. • Horizonal or vertical orientation. • Numerous callback functions for when items move in and out of the center position. • Callback function for when an item has been clicked. • Supports images of the SAME dimension only. • Speed, animation type, and item positions and distances are all tweakable. • Change the number of “flanking” items, as well as their opacity (you can turn transparency off as well). • Circular effect achieved by cascading to opposite side when ‘edge’ hit. • Very customizable with many options. • Several example cases in the download index file. • Works in Chrome, FireFox, Safari, and IE7+. Limited support for IE6. In contrast to the other two-dimensional display modes, carrousel mode presents your pictures in a three-dimensional view taking advantage of the potential offered by Pictomio’s internal rendering engine. Recently we’ve had the need of several jQuery widgets, because, no matter how many already exist in the wild, they never seem to have all the features we require. Reinventing the wheel? Well yes, but there’s no harm if the current wheel doesn’t fit the vehicle. Barousel is a jQuery plugin to easily generate simple carousels where each slide is defined by an image + any type of related content. They don’t want to have one gallery. They want to have many types of galleries. They don’t want to have vertical slideshow, they want to have also horizontal and fade in/out slideshows. And it makes sense. We can be very conservative regarding content editing features but we must not be conservative about design of the websites. The website is a front end of the company and every company must distinguish itself from others. Thus allowing every site to be as different as possible is essential to our business. Sure, there is always some great jQuery plugin that does the job. But sooner then later you will end up supporting five slightly different jQuery plugins that do almost the same thing. And once you include the support of particular plugin into CMS release then you become responsible for maintenance of the plugin for a whole life cycle of a website. It results in waste of time and money. You will need other solution soon. And this is why I started Elixon Theatre. Rcarousel is a jQuery UI continuous carousel with many cool features. It is highly customizable and supports even olderbrowsers (No IE6, please). Now rcarousel is very simple to use. 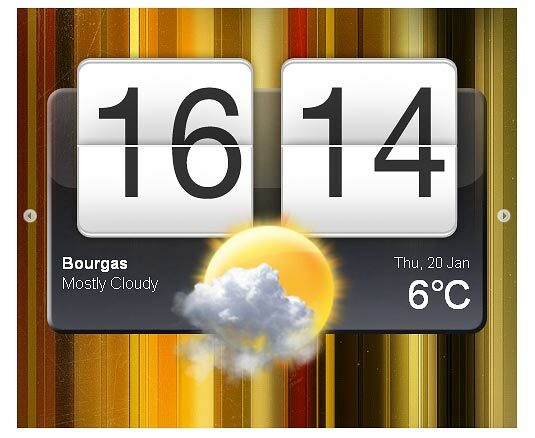 Just add some elements into a container and run the widget on it! rcarousel does not force you to use one pre-defined theme. You can add your own custom navigation with no effort! There are many options to choose from. Configure your carousel whatever you like! As of 1.1 version you can use hopefully any HTML element inside a carousel. To illustrate this, take a look at the carousel I used at the top of the page. As of 1.1 version there is no problem with wrapping IMG elements with links. Another nice feature! You can add as many carousels as you like to a page without a problem. To see a working example, take a look atmulti carousels example. rcarousel supports also vertical orientation of carousels. With the help of append method, you can load elements on demand. It can come in handy in AJAX calls. Thanks to the Auto mode you do not even have to use navigation. The pagination algorithm that is a part of rcarousel allows you to use a custom number of visible elements and a step to scroll by. Available API allows you to control rcarousel at the run-time!